BRAC launches emergency relief effort worth tk 15 crore to support people affected by flash flooding in haor areas. 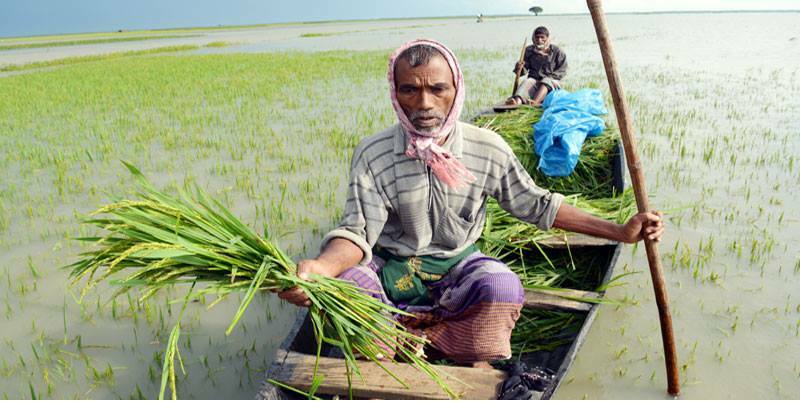 BRAC will support 50 thousand families over the next month to cope with the immediate impact of the floods on their crops and livelihoods. The non-governmental development organisation had already begun its regular relief efforts immediately after the floods hit. With the fast deterioration of the situation and spread of floodwaters, it is undertaking added emergency relief activities. A long-term rehabilitation programme will be launched in coming months, depending on the needs of the changing situation. The emergency relief programme will be carried out in four districts; Kishoreganj, Sunamganj, Habiganj and Netrokona, in coordination with local government authorities. Gawher Nayeem Wahra, director of BRAC’s Disaster Management and Climate Change programme said, ‘The situation has rapidly deteriorated in the last 48 hours. A new crisis has also emerged as fish and ducks are also dying, in addition to the widespread flooding of crops. This effort will support families to cope with the immediate crisis’.